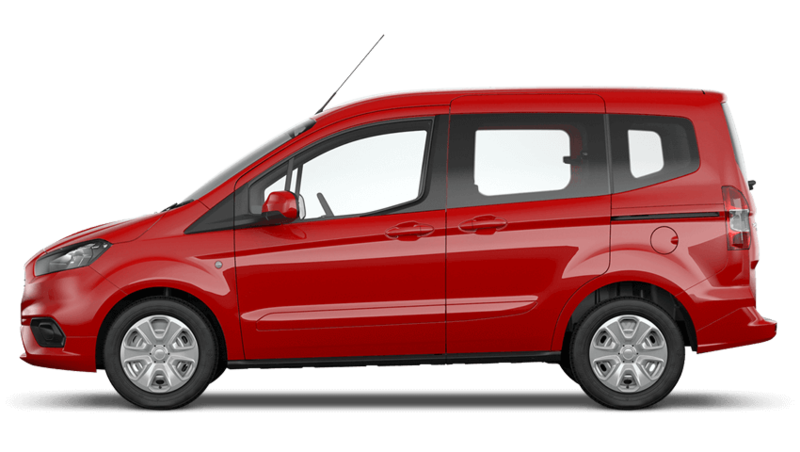 A compact take on a practical van, the new Ford Tourneo Courier is packed with handy features and designs. Utility and practicality are at the vehicle’s core. 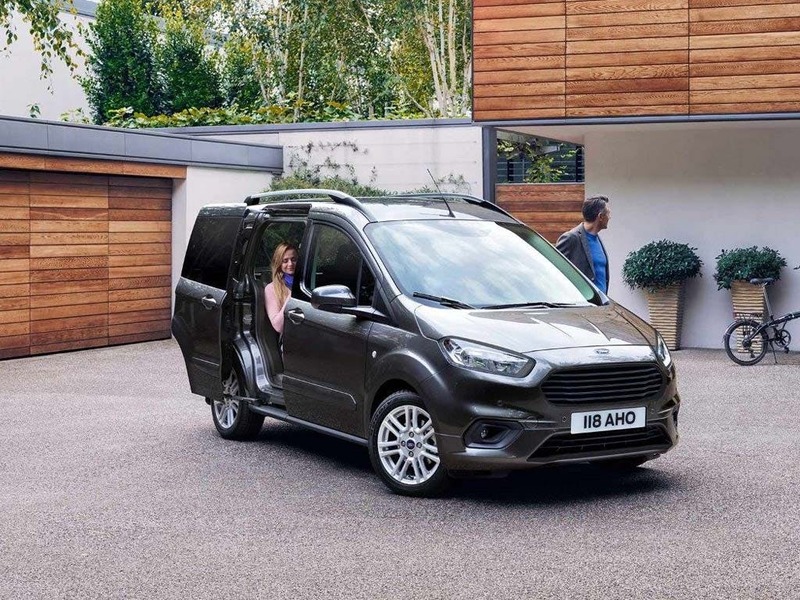 Flexible seating lets you make the most of the available space, whilst a three-cylinder EcoBoost engine offers a serious but efficient and environmentally-friendly output. You’ll be able to transport whatever you want, swapping between work and play effortlessly. Want to learn more? 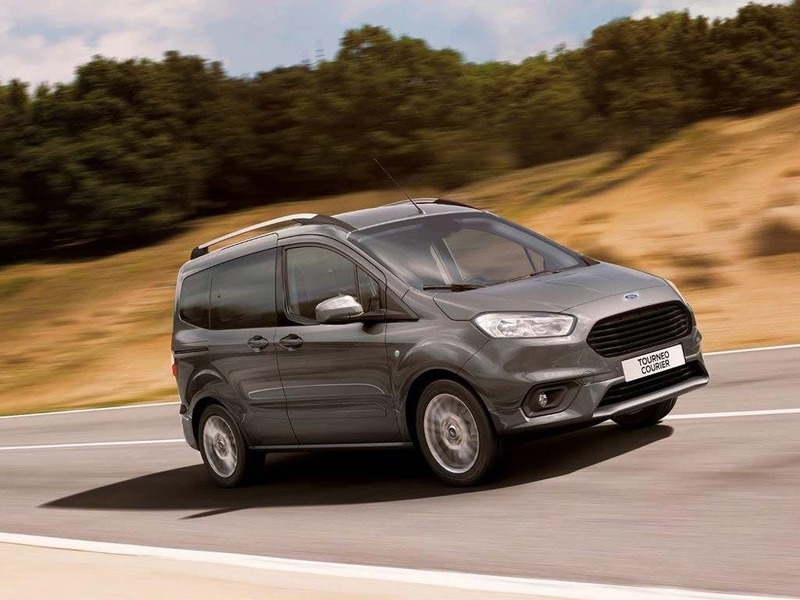 Book yourself in for a test drive to get a hands-on experience with this rugged, reliable Ford van. 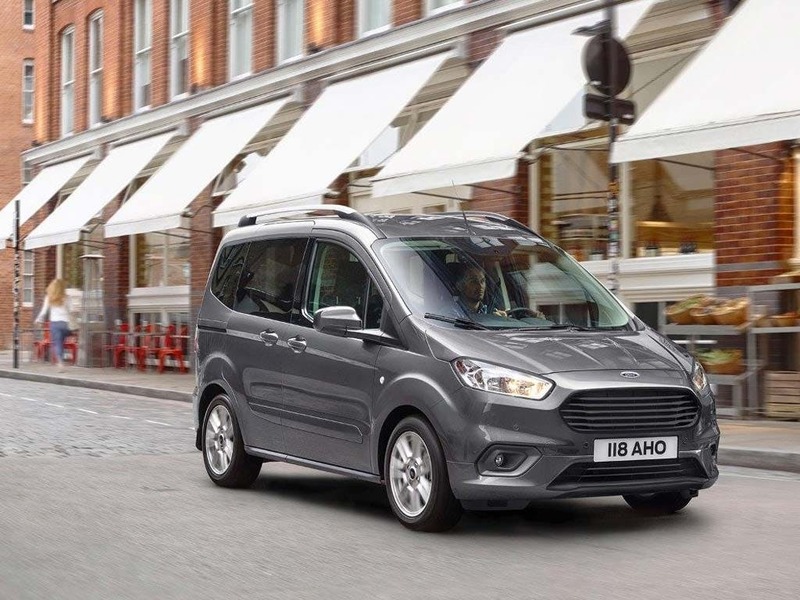 Discover all the latest New Ford Tourneo Courier offers currently available. 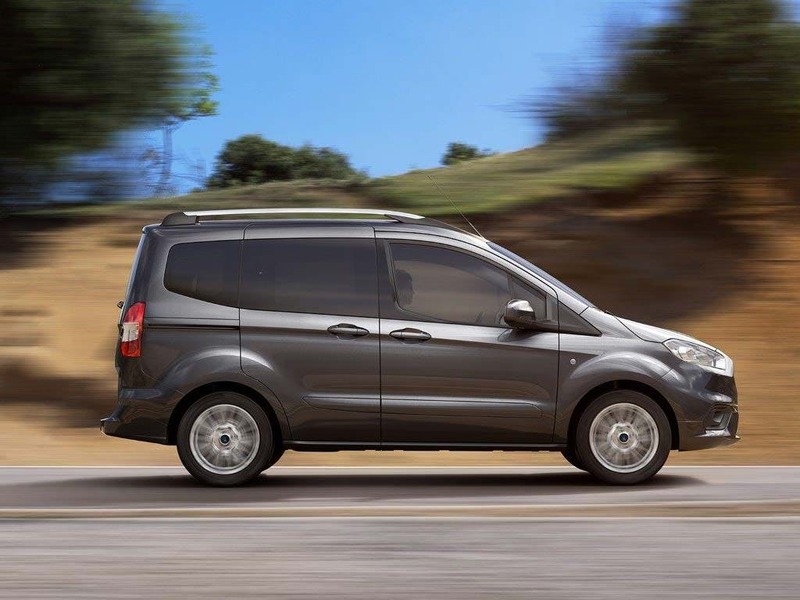 Every detail matters, view the New Ford Tourneo Courier technical specification. Download the latest New Tourneo Courier brochure. The new Tourneo Courier uses a 1.0 L Ford EcoBoost engine, so you know that it’s highly efficient. 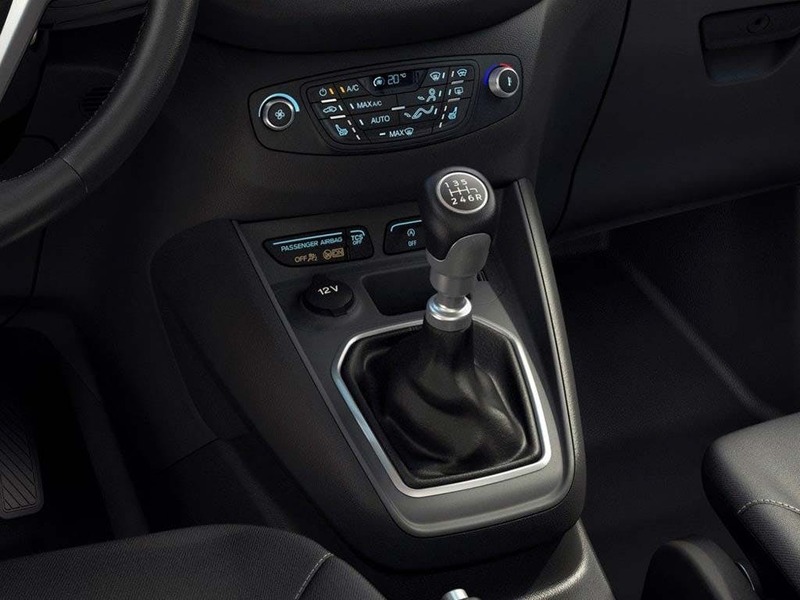 Race up to speed with the six-speed transmission and cut running costs by cruising in gear six when you’re up to speed. It easily meets Euro 6.2 emissions regulations whilst still outputting an amazing 100ps of power. Even with a top speed of up to 108mph and a 0-62mph time of 14.1 seconds, you’ll still get an amazing 41.5mpg combined, cutting running costs. 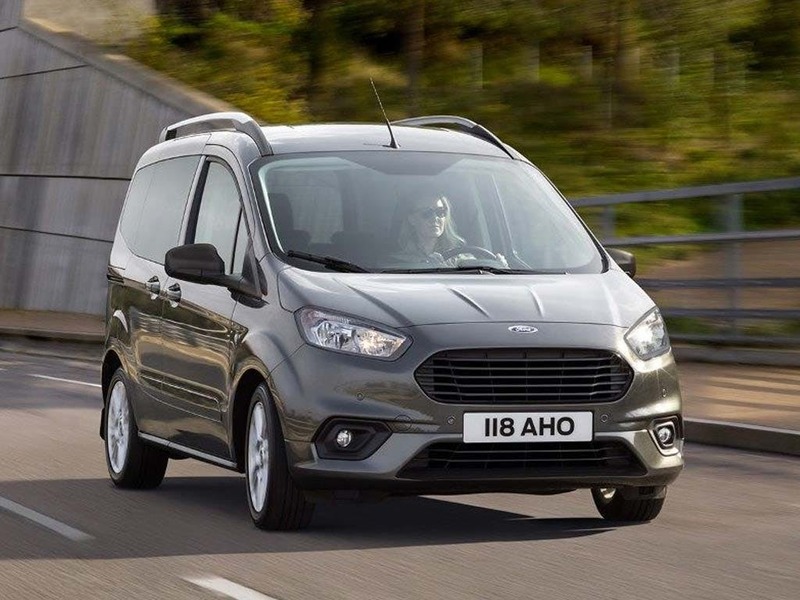 You’re kept safe and secure by the Ford Tourneo Courier from the moment you start the car. Electronic Stability Control keeps an eye on your grip, automatically applying the brakes to individual wheels to restabilise you. Emergency Brake Assist gives you added braking power in an emergency brake situation. When breaking heavily, your brake lights are automatically flash to warn those behind you. Trailer Sway Control prevents potential trailer sway, to make towing easier and safer. This works by dropping engine torque and slowly applying the brakes to every wheel. Copious amounts of cutting-edge technology is found inside the cabin of the Tourneo Courier. 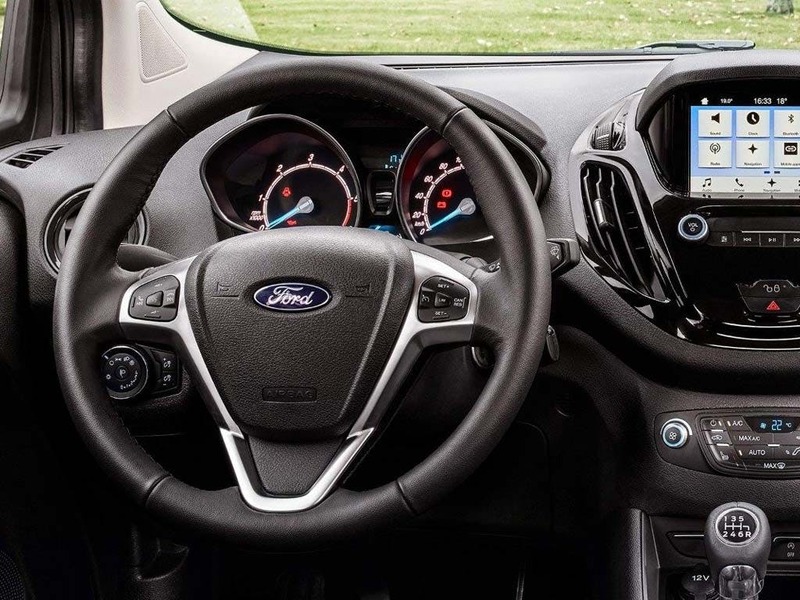 The Ford SYNC 3 system gives you access to your smartphone and music. You can do this via voice commands or the 6-inch high definition touchscreen display. Download the Ford Pass App for access to various systems on your phone, and get two years free subscription to Live Traffic updates. Or pair your device through Apple CarPlay or Android Auto to mirror your device on the touchscreen display. 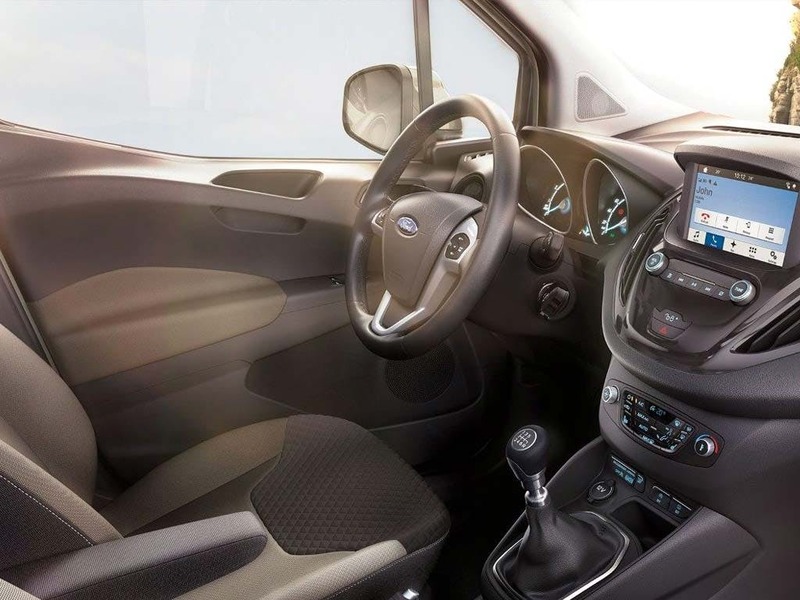 Handy features, premium materials and an abundant space make the interior of the new Ford Tourneo a comfy place to be. You can use your phone, tablet or satnav for navigation whilst keeping it in sight thanks to the universal device dock. The leather-trimmed steering wheel adds a sense of luxury and the multi-function buttons give the driver control over various systems. A three-seater bench to the rear can be folded away if you need to make some extra boot space. 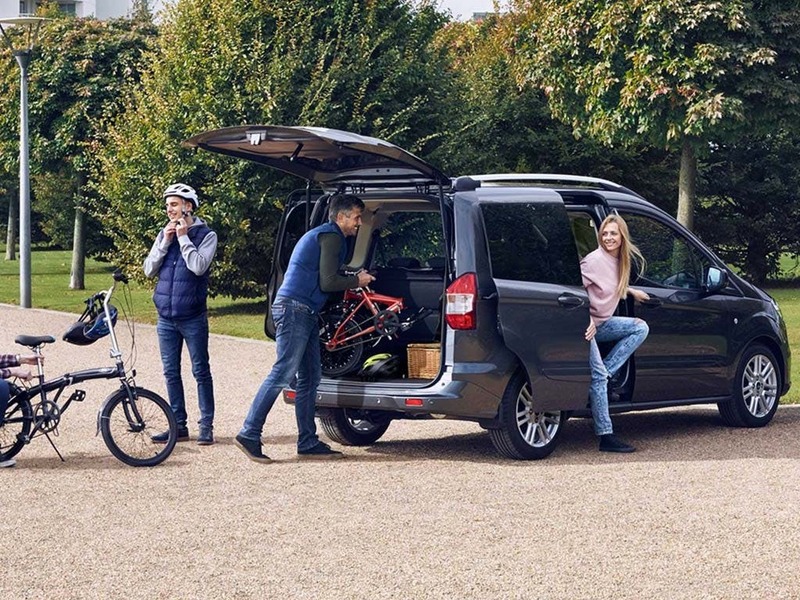 Switch seamlessly between work and play with the new Ford Tourneo Courier. 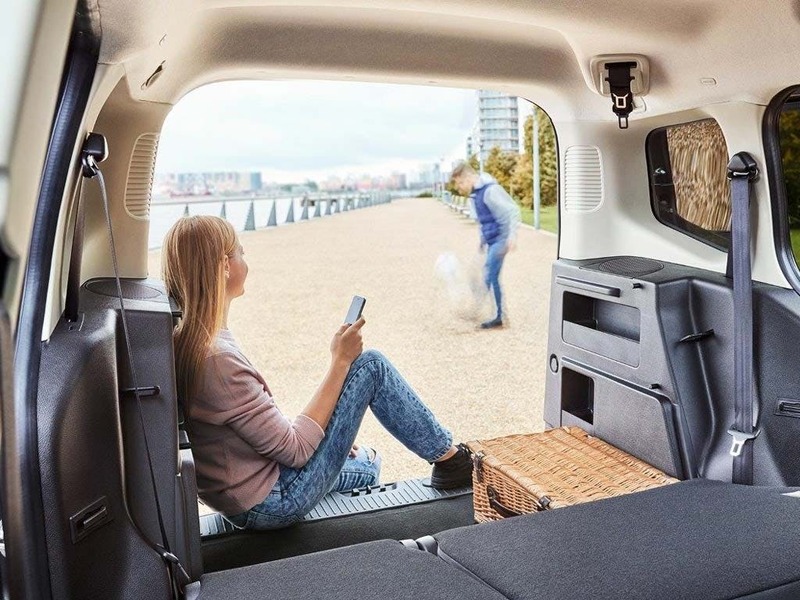 Enquire online or call your local Think Ford dealership for more information or to experience the Tourneo Courier for yourself by booking a test drive. Discover the Tourneo Courier at our dealerships in Basingstoke, Bracknell, Farnborough, Guildford, Newbury, Reading and Wokingham. If you want to discuss the best purchasing options available to suit you, enquire online or call us to speak to a friendly member of the Think Ford team who are on hand to help answer your enquiries. Explore the New Tourneo Courier specifications.